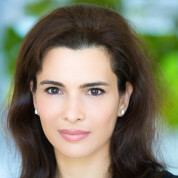 In her role as Partner and Managing Director at Boston Consulting Group (BCG), Dr. Leila Hoteit provides strategic leadership advice to an extensive portfolio of high profile clients across the Middle East’s government sector. Her primary responsibility is to strengthen capabilities across the Human Capital Development space covering Education, Training, Labor Market and Women’s Economic Empowerment. Dr. Hoteit’s career spans over 13 years in the management consulting industry. Her projects have centered on several key areas of specialization from policy planning to strategic planning, organizational development and business model design. As part of her assignments, Dr. Hoteit has strongly focused on Education, where she has led multiple assignments with the public and private sector education players in the GCC including the development of K-12 and higher education strategies for GCC countries. Dr. Hoteit was recently named ‘Young Global Leader’ for the World Economic Forum – a multi-stakeholder community of exceptional young leaders who share a commitment to shaping the global future – as recognition for her work in education and women empowerment. Dr. Hoteit has served as a key speaker at various conferences including the Education and Skills Forum 2015, the Women in Leadership Forum 2014, the 2013 Women Entrepreneurs in MENA; and, the 2012 MENA Business Network Women Forum. In addition, she has co-authored and contributed to numerous research articles for renowned publications such as The Economist, The Financial Times, Forbes.com, Arabian Gazette and The New York Times. Dr. Hoteit holds a Bachelor’s degree and PhD in Electrical Engineering from Imperial College London, as well as an MBA from France’s INSEAD. I am proud to join the Academy of the Global Teacher Prize, a pivotal event designed to shed light on the critical issues and challenges that punctuate the global education sector. Teachers inevitably stand at the forefront of educational development; they play a critical role in shaping the future of learning and serve as true catalysts for students’ academic success.